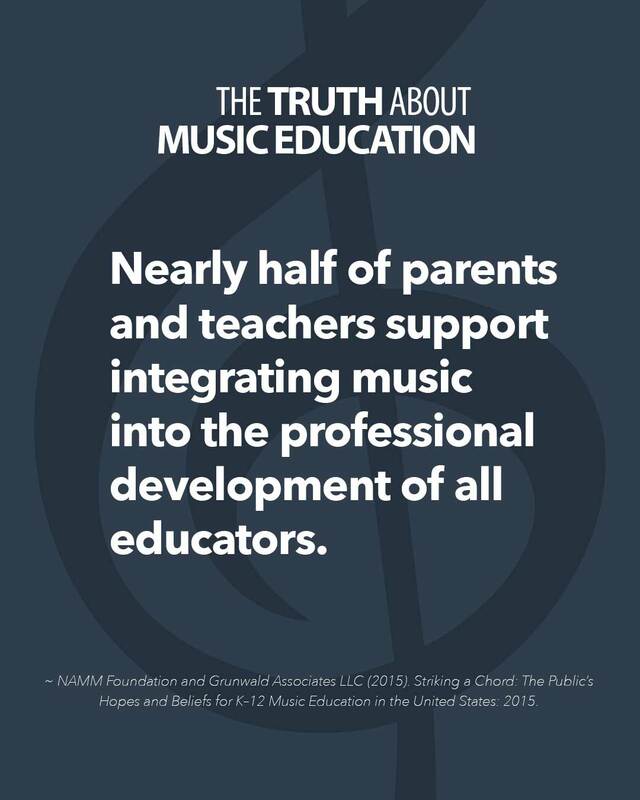 Nearly half of parents and teachers support integrating music into the professional development of all educators. ~ NAMM Foundation and Grunwald Associates LLC (2015). Striking a Chord: The Public’s Hopes and Beliefs for K–12 Music Education in the United States: 2015.